Croner is a versatile medium-duty truck platform you can rely on. Three GVW ranges and a wide choice of wheelbases offer up to 21 different basic configurations with additional driveline, PTO and job specific customization. Croner will get the job done faster, better and safer than ever before. • MKE: A 10.4 T - 11 T compact-sized medium-duty truck optimized for urban usage, with better maneuverability for narrow roads and city deliveries. • LKE: A 12 T - 14 T multi-purpose model for in-city and city-to-city distribution focusing on transport efficiency. • PKE: A 15 T - 17 T truck catering for medium-heavy duty usage with a powerful 6-cylinder engine for regional, long haul and heavier loads. 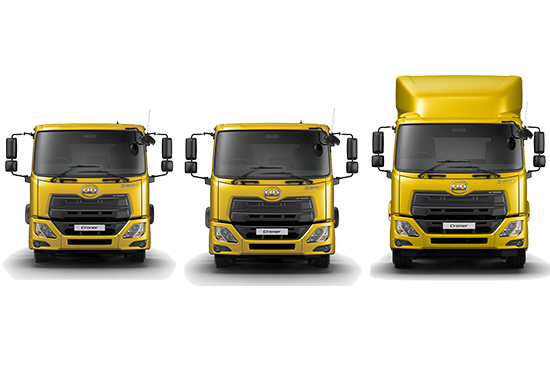 • Six wheelbase choices, which range from 3750mm to 5500mm, available for 11t, 12t, 14t, 15t or 17t GVW variants. 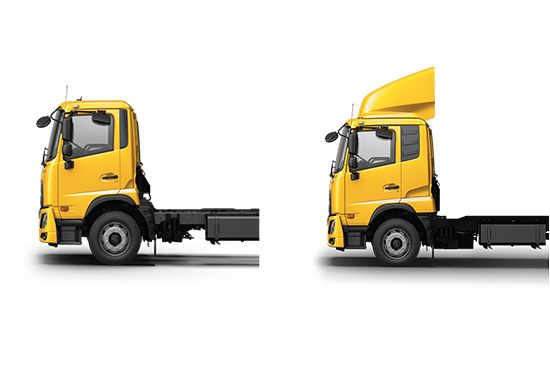 Longer wheelbase choices include 6000mm and 6500mm for 15t and 17t GVW variants. 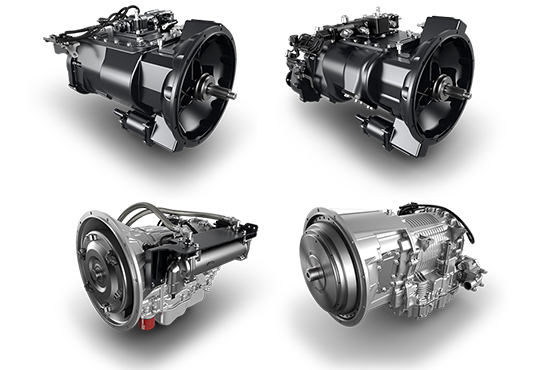 The new 5-liter and 8-liter engines, powered by UD Trucks’ advanced technology, combine reliability with top class performance. Delivering high torque from low-rev with flat torque curves, these modern engines provide better pulling power, easier driving, improved fuel efficiency, extended maintenance intervals and longer engine life. 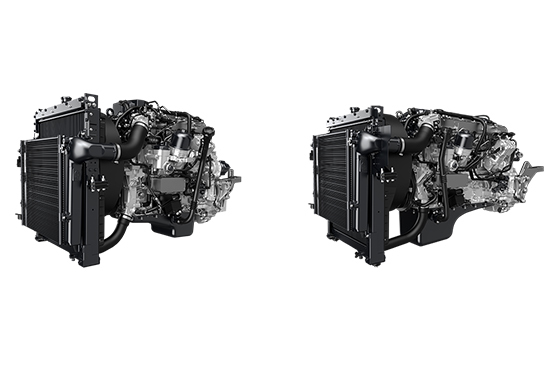 Engine PTO (Power Take-Off) option with flange connector is available for both the GH5E and GH8E engines. All Croner models come with a choice of reliable and durable manual and automatic transmissions. The manual 6-speed and 9-speed transmissions are able to cope with the toughest demands in various operation conditions, while the highly reliable automatic transmissions are optimized for on-road logistics and garbage compactors. We also offer a transmission PTO option with rear-mount type for 6-speed and 9-speed manual transmissions, and side or upper-mounted PTO operating choices for the automatic transmission. DIN pump connect or flange connectors can be selected to suit your specific job requirements. The MKE and LKE models come with a choice of day cab or sleeper cab, both 2.1 meters wide, while the PKE model has a 2.3-meter wide sleeper cab. The day cab allows for more load and utility space, and the sleeper cab improves driver comfort and efficiency on long- and medium-haul drives. Croner tops the class in terms of front and rear axle loads, making it the most productivity medium-duty truck on the market. 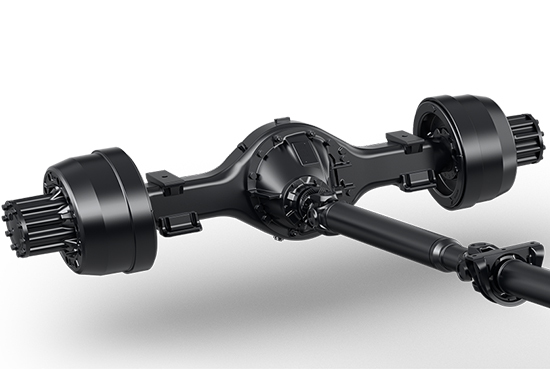 Both axles are built extra tough to enable high loads, and have extended oil change intervals close to three times longer than current medium-duty truck models. 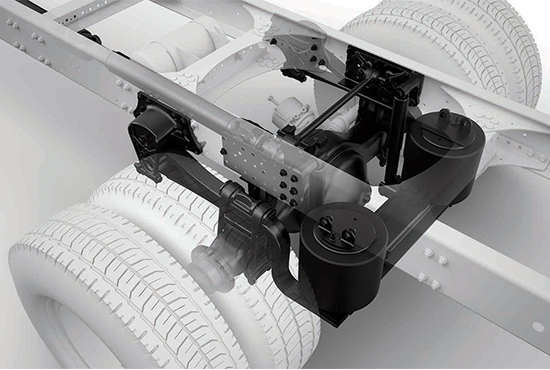 Croner multi-leaf spring rear suspension has two stiffness options: Normal for standard loads and stiff for heavier cargo. Air suspension is also available as an additional option with mechanical height control valve and dump switch. The improved stability and cushioning is perfect for sensitive cargo freight.